Online Blackjack - Start playing Now for free or real money! Blackjack is one of the most popular casino games of all time. No casino, whether brick-and-mortar or online, would be complete without a blackjack table. Being big fans of blackjack, all the casino sites recommended by us will have blackjack on offer although some sites will have more variants than others. 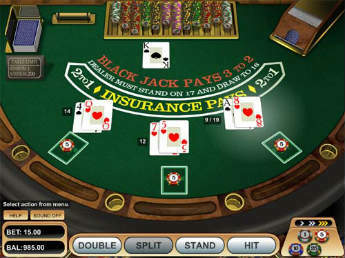 Blackjack games exist both as animated games and in live dealer casinos. Online blackjack games cater to a range of players from those who like betting with micro stakes to high rollers, so it’s just a matter of finding the game that suits you. If you’re an experienced blackjack player, you’ll have no problem understanding how to play blackjack online. The game is played in exactly the same way and if you aren’t sure about something, just click the “help” or “info” button in the game. The dealer will deal you and every other player two cards (both face up) and two to himself (one up, one down). The cards have values that are easy to remember. The 2 to 10 cards have values that match their number. For example, the four of diamonds = 4. The face cards (Jack, Queen and King) are worth 10 each. Any Ace is worth either 1 or 11 as this value switches automatically to whatever’s best for the player. Add the values of your two cards to know what your hand is worth. For example, a king and a 7: 10 + 7 = 17. Decision time! At this point you need to either stand, hit, split, or double down. The different choices are explained in the Glossary section below. Each player continues until they decide to stand, or if they bust (exceed 21). When you bust, you’ve lost automatically, regardless of what the dealer’s hand is. The dealer plays his/her hand last and will hit until a pre-decided cap is reached, or busts. At most casinos the dealer will hit until a hard 17 is reached. It’s time to announce the winner! If your hand finishes closer to 21 than the dealer’s, or if the dealer busts, you win! When you choose to stand, the dealer will stop drawing cards for your current hand. The value of your hand will be constant until the end of the round. By hitting, you’re asking the dealer to draw you another card from the deck. This will then be added to your hand value. You can keep hitting until you decide to stand, or until you bust (reach a value of 22 or more). If the first two cards that you are dealt are of the same value, you can choose to “split” your hand into two separate hands. Now, you continue to play the game with two hands against the dealer. It’s usually required that the player place an additional bet on the new hand that equals their original wager. By doubling down, you agree to “hit” one more time before standing. When you choose to double down, you have to double your original bet. Once you’ve chosen to double down, you can’t change your hand once you’ve received that last hit. So why do it? Well, if your first two cards seem likely to win, you can increase your winnings by doubling down. Over the years a variety of strategies have been created to help players reduce the casino’s edge. 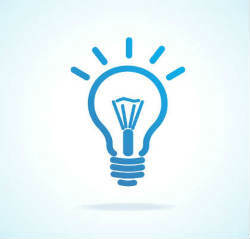 Learn about these strategies and see which one works for you. It’s possible to reduce the casino’s advantage to less than 0.5% by correctly using blackjack strategies. You can’t count cards at an online casino. This is because the cards are “shuffled” after every hand. Read the bonus terms and conditions of the specific casino you are playing at. Most online casinos will only credit a certain percentage of your blackjack play towards your wagering requirements. Even though it can be reduced, the casino’s edge will always be there. Using strategies can reduce your losses greatly, but statistically the longer you play, the more money you are likely to lose. Just don’t chase losses, that’s all. Of course, if luck goes your way you can earn money at a blackjack table, otherwise no one would play. Blackjack is one of the most entertaining casino games of all time so be sure you’re having fun whether you’re winning or not. Also, remember that cashing out after a few winning hands can be a great feeling. The dealer doesn’t deal him/herself a hole card. Also, if the dealer scores 21, he/she doesn’t automatically win. 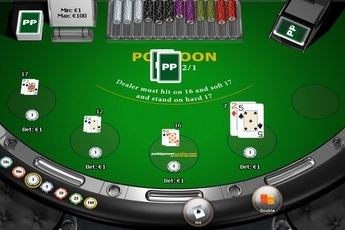 Pontoon is like European blackjack but with some extra rules for the player: an ace card in a pre-double hand will always have the value of 1 post-double. Players can only draw once on split aces, but hands featuring an ace and a 10/face card are called “Pontoons” and pay out extra. 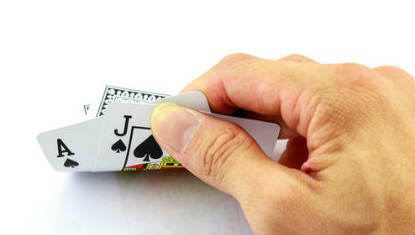 With this version you can double your bet once the dealer’s cards are face-up. This flexibility allows you to increase your wager thereby increasing your winnings. Play two hands at once against the dealer. This variant allows for a much faster rate of hands. There are too many blackjack variants to mention here including Spanish 21, Double Exposure, Blackjack Surrender, Blackjack 5-hand and more. Try them all to see which one you enjoy the most. Actually, if you’re completely new to the word of online blackjack, playing a few rounds for free is a great idea. The online casinos that we recommend on this site all offer blackjack games that can be played for free. Even if you sign up, before you make a deposit and choose to play for real money, you’ll be able to play for sample tokens. Then, once you feel confident that you understand the rules, you can make a deposit and start playing for real chips. That’s when the adrenaline will start kicking in! When online operators first began to emerge, there were some horror stories of illegitimate websites and scams. Today, online gambling in general has become far more controlled and legitimate casinos are monitored by external agencies. It’s important to play blackjack at a reputable site to make sure you have a fair chance of winning. The online casino sites that we recommend here at CCO are all legitimate businesses that meet industry standards with regards to fairness. The main thing defining online blackjack in 2017 is how far this game has come with regards to how it is played on mobile devices. While mobile blackjack versions used to be limited to certain devices or operating systems, nowadays you’ll have no problem playing blackjack on whatever device you have, whether smartphone or tablet, iOS or Android. Playing blackjack on a mobile device is a great experience and the games are now perfectly suited to smaller screens making navigation and gameplay very easy and lots of fun. Another amazing thing about playing online blackjack in 2017 is the availability and quality of live dealer games. Most of our recommended blackjack casinos offer the possibility of playing blackjack in a live environment with real cards and real dealers. This is the real way to feel the thrill of blackjack action without ever having to leave the comfort of your favorite armchair or sofa! If you enjoy playing blackjack at land-based casinos, these live dealer games are perfect for removing some rust before hitting the tables. That way, you can have much more confidence when you visit a real casino without having to waste any bets as you get used to the live blackjack environment. Well, it’s definitely a matter of preference, but playing online has a number of advantages to playing at a land-based casino. For starters, you don’t have to tip! Also, the play is much faster since you don’t have to wait for the other players to play. You have complete control of your environment so you can concentrate better and use your strategies without being distracted. Another very important benefit is that online casinos often give players a better edge than land-based ones. Calculating the house edge is pretty complex, but it’s become a well-known fact that online blackjack is more likely to favor the player than blackjack tables at land-based casinos. Playing blackjack online is an amazing experience. It’s a great game with an excellent balance of luck and skill and it’s fun to learn as you go. Make sure to read our other articles about online blackjack, including this piece about strategy for playing blackjack online. And lastly, remember to always choose to play at a trustworthy online casino. 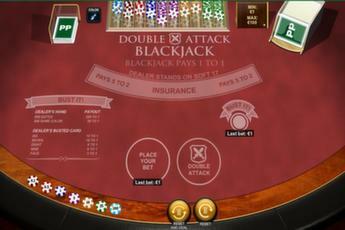 Playing blackjack online can be very exciting and enjoyable. It’s good to know as much as you can about each variant you play so that you can use the rules to your advantage. Lastly, remember that online casinos rarely give full credit for blackjack play towards the wagering requirements for bonuses. As always, read the bonus terms and conditions of the casino you’re playing at.